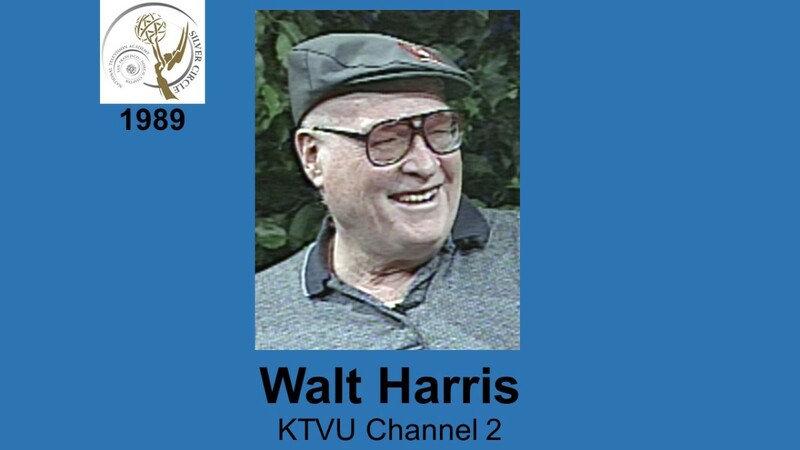 Walt Harris, the voice of the most popular period of pro wrestling in Northern California and best known nationally as the host of the syndicated Roller Derby shows, passed away last night at the age of 97. Harris had stopped eating a few days ago and we were told that it was imminent. Harris was a sports producer for every major sport and team in the Bay Area, who received many awards including being in the Golden and Silver Circle of the National Academy of Television Arts and Sciences, a member of the Roller Derby Hall of Fame, and a member of the Northern California Pro Wrestling Hall of Fame. .
Harris was the sole announcer for National All Star Wrestling and Big Time Wrestling in the 1960s that aired on KTVU, Ch. 2 in San Francisco, and KCRA, Ch. 3, in Sacramento, and were syndicated at times in cities like Honolulu, Phoenix, and other West Coast markets. He had already been the Roller Derby announcer on that station for a few years and Roller Derby was all the rage in the Bay Area before Roy Shire started his career as a promoter, drawing sellouts of the biggest matches at the Cow Palace and making Charlie O'Connell perhaps the most popular athlete in the area. Roller Derby became a national powerhouse, selling out almost every major arena in that era. He was a natural choice for wrestling, since he already worked for KTVU-TV, and in fact was the first person hired to work at the station. When the station started, Harris, with his golden voice, was the anchor for the morning news and announcer of a live musical show, and then was tabbed for Roller Derby, which in the early days, was the show that put the station on the map. As noted many times, his work as a host of the show was similar to Lance Russell, as was his talent. He had credibility as a newsman, and announced that way, which gave credibility to Roller Derby, also a worked sport, and somehow managed to portray the wacky antics on wrestling as legit. His work in particular at handling there interviews I'd rate equal to Russell, and along with Gene Okerlund and Vince McMahon as the best ever in that role, although he was completely different from the latter two and much closer to Russell in approach. During his early years, Shire's territory was considered the hottest in the United States, and the Cow Palace, the home base, was second to only Madison Square Garden as the largest grossing arena in the U.S.